Fit was good. Added fuel for the desert is nice. More fuel more weight, added weight seems to carry low in frame does not make bike feel top heavy. This is a great tank and the design is very good as I do not notice it when riding. Only complaint is the shrouds to line up however they do not fit flush against the tank where they bolt up, they become wavey. All good as I know these are hard to design each year for the changes in bikes so now I hardly notice it. Other than that it works great! Seems to be pretty good quality, only problem I've had is the screw holes for the radiator shrouds didnt screw down far enough so the shrouds were lose but a couple washers fixed that! Riding long distances in the woods, this was a must have. IMS makes great products. Fitment was excellent and having additional fuel capacity is great. This tank adds .9 gallon to a 2017 Yz450f. A great tank and upgrade for long rides. Easily installs with no cutting. I bought this tank hoping for minimal cutting, stretching, or reshaping of my bike's Plastics and that's exactly what I got. This tank firts exactly like the OEM tank. It seems to be very well built and robust. Another concern I had: is this going to fit with my aftermarket radiator guards and will it limit air flow around the radiators? Answer: it did not interfere with the radiator guards and it did not limit airflow. I selected the natural color so I could see the fuel level while on the trails but I still think the natural color is ugly. It's something I opted to live with. If you want more fuel and a high quality tank, buy IMS. Great durable tank. Would reccomend. the IMS gas tank is a great addition to the yz, first rate product. 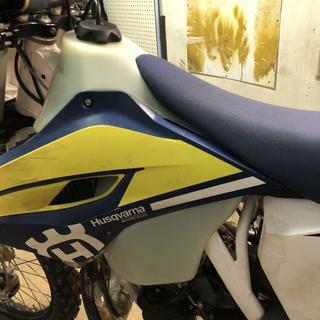 Bought for my ‘04 RM250, fit is excellent and not super bulky. Can hardly even tell it’s there, and of course the added 1.3 gallons is excellent for this long rides. She's big and cuddly and might just get you out of a jam in the tough stuff. Capacity of 4 gallons is awesome, however looks like fork rebuild and respring is in order. No problems with the installaion, pretty quick and now I am the supertanker in the group. Highly recommended if you are going long distances without fuelstops and don't like carrying it in gatorade bottles. Baja approved! You use all your stock mounting hardware, and stock petcock. Need to trim tank panels slightly to remount them but nothing major. No problem with the fitment. Love the 3.2 Gal clear tank. No more guessing if I have enough fuel or not. Just rode it a little today, bought it for long races and will see how it does tomorrow, installation and delivery time was excellent and looks great! Fit better than most after market tanks, has the largest capacity for the 17 YZ than any of the others that we found. Highly recommend! I like the tank but the install took about 4 hours, if I were to purchase again the smaller tank is what I'd buy. 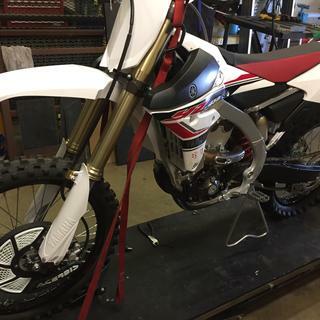 2014 CRF450 Bolted right up. it is a huge tank but I cant tell the difference from stock when racing desert in AZ. Put the IMS 3gal tank on my 450RX after trying the Acerbis. The Acerbis tank is poorly designed in my opinion. Very very wide....like 1.5in on each side by the center of the seat. And nearly 2.5in each side in the center of the shroud. This was so bothersome i bought the IMS. Although the bat wings extending forward of the shroud steered me to the Acerbis intially, i now know the IMS is a fine tank. No issues whatsoever. It fits just as slim as stock. Replaced the very old IMS tank that was on the bike. I like the newer design much better as it is much thinner but is taller. Tank seems to be a bit beefier than the older one as well. Fit was really good. This was an excellent purchase for my 2008 YZ450F. I would recommend. Love the new tank! I can go for longer trail rides with no worries of running out of fuel. The clear tank also lets me know how much gas I have. Super easy to install. Took me about 1/2 hour to swap it out. Works as expected. Easy install and exact fit. 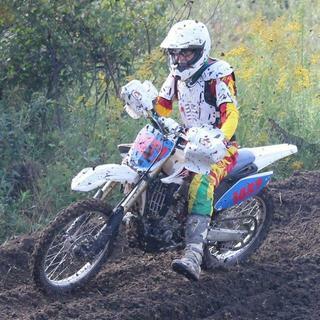 I race 2 hour Hare Scrambles and with the stock tank I always had to stop for gas. With this tank I can finish the race without pitting for gas which has improved my race results. Great qualty tank to replace to small factory tank. Would recommend . It's totally different feel something to get used to. Fit is good, this tank finds the room for extra gas without the gas cap portion being a mile high. Great product. Good capacity for longer rides. I bought this for my '14 WR450F. The stock tank is just over 2 gallons and on longer trail rides, getting low on fuel is always on my mind. This tank ads the capacity without being too bulky. There were some fitment issues. I had to trim the tank plastics which was to be expected. Some of the fasteners didn't line up as well as they could have been. 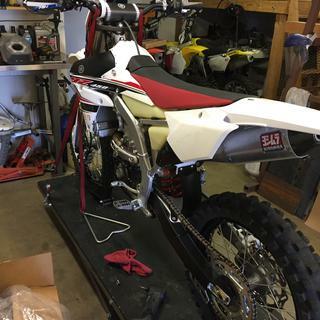 Removing the tank to perform valve adjust or spark plug change take a little more time than the stock tank, but if your main type of riding is trails, the extra 1+ gallon is worth it. I do find this tank to be a bit bulky at the track, but it's not terrible and I can swap to the stock tank for track days. 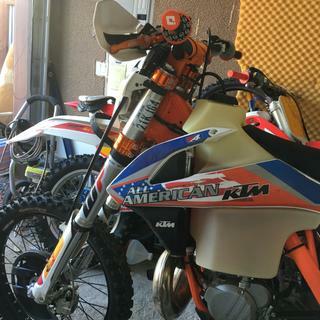 fit well , and easy to install and it look great in my dirt bike. Tank looks great and fit pretty much perfect. Love not having to worry about having enough fuel on longer rides. Installation was quick and easy and it fit perfectly. I love the extended range that i gained it was well worth the money. Looks like a well made tank. Installed it in about 30minutes, plastics fit good but seat need a little bit of encouragement to go back on. The area around the gas cap protrudes out a bit as well as the radiator flares but that was expected. great tank! fits the bike great, largest capacity i could find for a '17 ktm 300 xcw. looks good on, and you don't have to sacrifice much bike feel, can barley notice it once you start ripping. little tight getting the shrouds on, but no big deal just gotta do some pushing and pulling and you got it. I would recommend this tank. It holds enough gas to complete the whole race without stopping. This tank is great as it holds about another 1+ gallons for much better range and can see just how much fuel is in it. 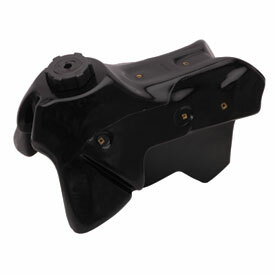 Mounted perfectly and doesn't look any larger than stock, so isn't bulky looking as are some extra capacity tanks are. installation went smooth.quality is very good , I will buy ims tanks again. After running out of gas with the stock tank, i upgraded to this and never had any problems, provided great aesthetics, and holds 3.1 gallons of fuel allowing me to finish my races, great product for a fair price! These is my 2nd IMS big tank. I like the peace of mind on long rides of the extra capacity. The tank fits the bike good. Be sure to put anti-seize on the bolts. I have had a couple freeze up and it is a pain to get them out. 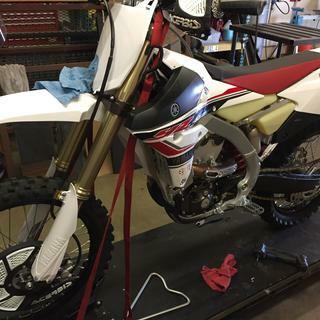 I wanted to increase my range on my Yamaha WR450 and this fit perfectly without modification. If you did not know it was a larger tank you would think it was stock. Which petcock fits this tank? The ims tank we ordered came with a petcock. 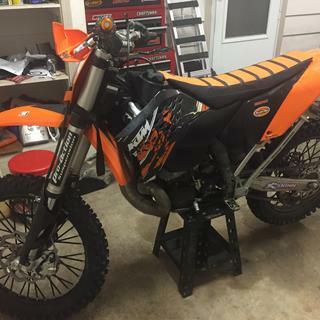 I do think the ktm 250 XC stock petcock will also work. We don’t use petcocks due to the way the it hooks up to the fuel pump. I removed the oem one off stock tank, worked perfectly. 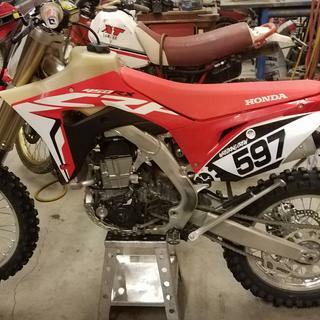 will the stock gas cap of a 2006 crf450r fit on this tank? BEST ANSWER: Probably not. When I got my tank from IMS it came with its own new cap. The old stock cap was a smaller diameter and different thread pitch. My bike is a 2012 Yamaha YZ250F, but IMS probably makes all their tanks with the same cap. past experiences on ims or clark is unfotunately no but the new tanks come with a cap but if you have a tank without one you for sure can order a cap. ride wheelies!!!! My son has a crf150r and stock cap did not work. However it comes with a new cap for that tank. Will a stock gas cap, YZ250, fit an IMS tank ? BEST ANSWER: Yes. Secondly easy to install and trust me adding an additional 1.3 gallons of fuel has been wonderful. Great product. Does this tank come with a fuel petcock? BEST ANSWER: No, you re-use your stock petcock. I found it easier to buy another one and leave it permanently attached as I liked to switch back and forth between this tank and stock. I do not recall if tank had a petcock. I had to return the tank since it did not fit my KTM 450 MXC with a cooling fan. Good Luck. how transparent is the "natural" colored IMS tank? Thank you. I run Castor 927 so it doesn't really discolor the fuel too much...but as long as I can see the level thatll work. It was very "yellow" and I didn't like the look. I returned it and ordered the black one. Thats a bummer...hope the black worked out. Thank you for the reply! Got the tank and am very happy with it! Enough that you can see the fuel level quite easily. Heck yeah...thats what Im lookin for..thanks! Are tank mounts included on ims tank? This tank will mount the same way as your original, it rests on the frame and has a hole where the bolt goes through the top. They are not but it only takes a couple of minutes to change them over from the stock tank. My tank was for 2016 YZ450. You did not need any additional parts for installation. No, you transfer the mounts from your existing tank over to the IMS tank. 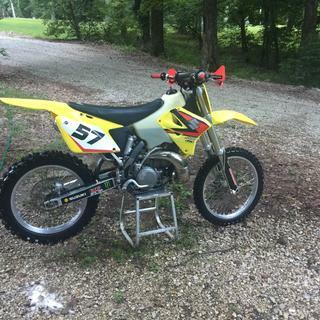 BEST ANSWER: I bought it for my 01 YZ250. It doesn't come with a petcock, and it doesn't have a spot on the right side. I ended up drilling mine out, and installing a larger petcock. If you're careful not to over-tighten the mounting screws, you should be able to add a right side petcock. This tank does not have a petcock on both sides. It uses the original one off your stock tank and is in the same location as the oem tank. 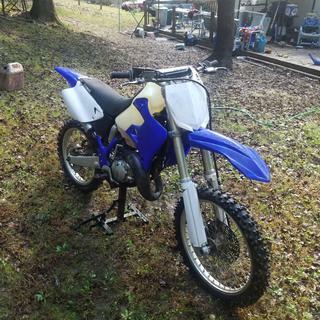 I bought one for a 2016 YZ 250X. Only has one hole for mounting the petcock. It is only drilled on the stock side left for my drz. BEST ANSWER: No mine is not. But you can get them them. I have been vary happy with my ims tank. The tank has a stand male Yamaha thread just like the stock tank from the factory. So the stock gas cap gets reused on the new tank . There may be an adapter out there that would thread to the tank. Dry break ready? Don't understand the question. Does this tank come with a big hole for a dry break system, or is it a threaded port for a screw cap? On the 09 yz450f will the shrouds bolt directly to the tank without modification? Is it possible to get more pics of the 3.3 gallon IMS natural? I want to see what it looks like abit beter before i buy it. BEST ANSWER: Yes. I can get a picture. No way to upload it here. I have a 2.9 on a 06 kx250 I now have a good long range. It dose feel a little wider and a little more heavy. can you still run radiator braces? BEST ANSWER: Yes you can. This sits in the same place as your old tank. I run guards and braces and they fit just fine. Yup. I run guards and braces on my '01 YZ250. BEST ANSWER: Acerbis is the way to go for the steel frame YZ. I like IMS and have one for my 450 but use the Acerbis on my YZ. Don’t let the tank neck scare you. I have been over the handlebars a few times and it has never been an issue. You CAN pull the spark plug with the Acerbis. I would get another one in a second! It’s 3 gallons. I have this tank and have not had any problem accessing spark plug. will it allow the fan on a 18 ktm 300xcw? i have a 2005 kx 250 if I use ims tank will i still be able to get my spark plug out without removing tank? BEST ANSWER: I could not without lifting the tank up slightly. I did not have to completely remove it but it needs to be raised up out of the way. You will be able to change the plug without removing the tank. An open end wrench will work best. does any one have this on a yz 125? Yes. 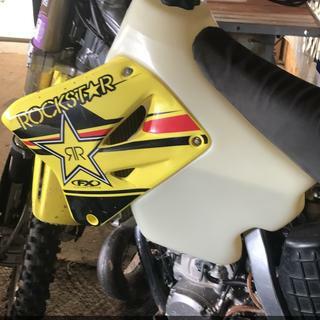 I have an IMS tank on my 2007 YZ125. It bolted right on, and I didn't have to trim the radiator shrouds to make them fit. 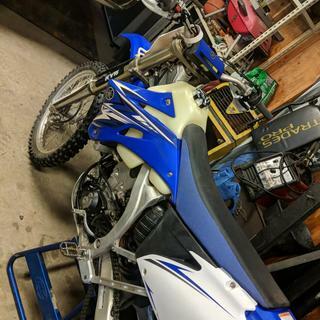 I purchased an OEM yz250X fuel petcock with reserve for about $30.00 for added insurance against becoming stranded. 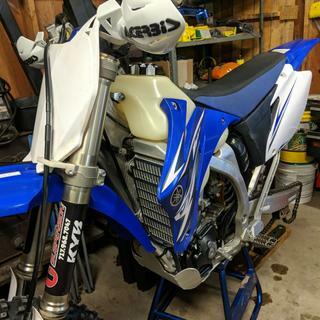 Would my IMS tank currently on a 2008 YZ250F fit on a 2008 YZ450F? BEST ANSWER: Yes, this tank fits both the 2008 YZ250F and the 2008 YZ450F. The same tank fits both YZ250F (2006 - 2009) and YZ450F (2006 - 2009). I also used that same tank on a 2007 WR450F but had to use the YZF shrouds b/c the WR shroud bolt holes didn't quite line up with the tank's. Will the 2017 yz450f style fit a 2017 yz450fx? BEST ANSWER: Unfortunately, the fuel tanks for the 2017 YZ450F and the YZ450FX are different. So it would not work. For my 13 crf450r. Fuel injected bikes is there fuel filter and pump inside of tank already and if so same as oem? BEST ANSWER: No, they are not provided. You will have to remove the stock ones from your stock tank, and install them into the new tank you purchase. Will the stock fuel cap for a Kim 300xc 2006 fit? 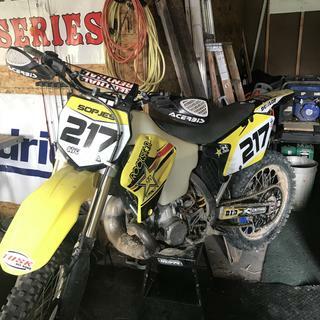 What is the fuel capacity for it for the 2003 CR 250? BEST ANSWER: We have this tank for your machine in a 3.1 gallon capacity. 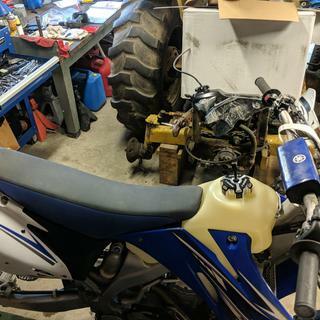 When mounting this tank on the 17' YZ450FX project bike, does the fuel line use the same routing technique as the stock tank (to the right side), or does it need to be rerouted under the tank behind the rear shock? Having some trouble deciphering IMS install instructions. Thanks for that, not quite what I was getting at. I have the fuel line mounted to the bottom of the tank as well. I meant the fuel line itself and how it was routed along side the tank coming from the engine. Stock setup ran alongside the tank with the electric wiring. It just seems like there's no space for both to fit now. 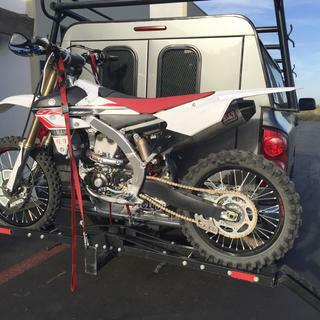 Will the IMS tank for the 2018 CRF450R fit the 2018 CRF250R? BEST ANSWER: No it will not unfortunately. Will this ims bolt rite up to my 01 yz125? BEST ANSWER: Yes, this will fit your machine. You will need to enter in your machine in the drop down boxes above the product image. 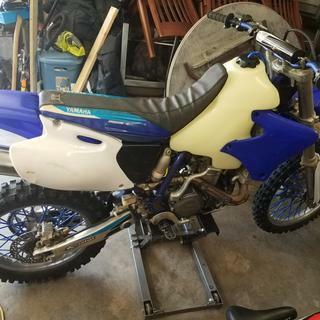 does this fit a 2004 yamaha yz85 dirtbke? 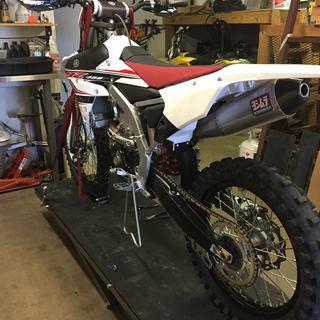 this will fit a 2013 yz85 ? Can I order an IMS tank with a dry break for my 2016 TE 250? BEST ANSWER: Yes, we do have the IMS tank for your bike but unfortunately we do not carry a dry break for that. i have read on other sites that i need a shallower adapter for the bigger tank on a fc 250. is this true? BEST ANSWER: If you use some sort of quick dump jug, you'll need an adaptor but for normal fuel cans, you do not need an adaptor.